A construction contract dispute for home building projects can cause a huge impact on the progress of construction work. You can avoid getting construction nightmares by knowing more details about contract disputes. This just might save your building project! Disputes are really hard to anticipate, but with the right lawyer, you can be confident that everything will be kept on the right track. Contracts Specialist can help you with all your contract problems. What are the major causes of construction contract disputes? What are the types of construction contract disputes? What are the methods of resolving construction contract disputes? 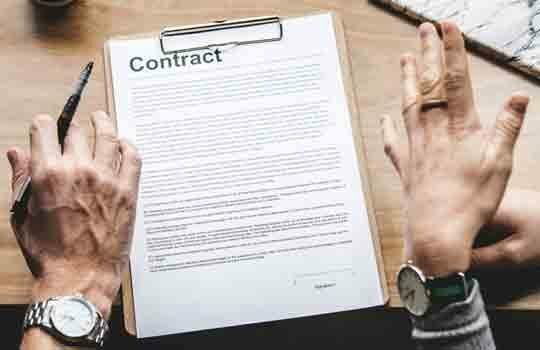 The major reason for contract disputes is one that can perhaps be the most easily prevented: using a contract that has not been meticulously checked . There are certain instances that a party to a contract misunderstands the agreement because of statements that have double meaning. Or there may be some clauses that can be interpreted in another way. These can potentially result in disputes. Save everyone a huge headache by using a contract that is concise and direct to the point. Unlike with vague contracts, this one seems like a choice of a party to a contract. Well-crafted building contracts may have made a difference, but it is not enough. If a builder, contractor, subcontractor, or any other party fails to comply with their obligations, then the other party will definitely file a complaint. A breach of contract happens when the agreement is not kept. One party might not have fulfilled their obligations based on the terms. It also includes situations like when a party fails to perform within the time frame specified in the contract, and does not or fails to perform in accordance with the terms of the agreement. You have probably had to sign a bunch of construction contracts before, thus you knew exactly that this one arises most frequently. Thinking ahead about the potential construction fallout may be helpful in drafting a contract. It is essential to be included as a part of the agreement. Disputes are unavoidable in some situations especially if the project is unique in nature. It will thoroughly worsen the problem if there are no alternative dispute resolutions indicated in the contract. A claim is a written demand by one of the contracting parties seeking a payment, adjustment of contract, and other concerns. Claims errors can lead to contractual disputes in a way as this can establish disagreements. SUMMARY : The major reasons for construction contract disputes are vague contracts, noncompliance of contractual obligations, breach of contract, no dispute resolution provisions, and claims errors. These are just the common problems of the people working in the construction industry. Surprised by your high construction bills? Maybe that is because of a cost increase or a budget overrun. Part of the cost overruns are those unplanned project expenses. Disputes happen when the project cost exceeds from what is originally planned. This involves the skill and quality that were put into the project. All problems relating to the construction workers’ performance are covered by this type of dispute. Noncompliance, work delays, and absences are also included. The use of substitute materials which are different from the ones agreed upon in the contract can definitely result in conflicts. 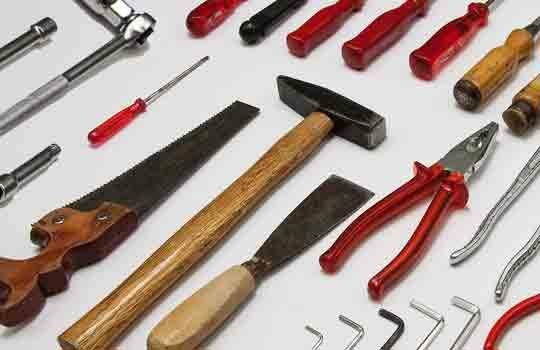 Use of alternative and cheap construction supplies can cause building problems for a long period of time. This also includes the errors in design, building defects, and poor building maintenance. Anything that is wrong with a contract can be directly translated to possible disputes. Contract errors include ambiguity or vagueness, no indication of dispute resolution provisions, and constant changes or omission. You cannot accurately know what lies below the ground’s surface until you see it yourself. Differing site conditions often happens during the underground construction phase of the project. This refers to the unknown physical conditions of an unusual nature. It can increase construction costs and can also delay the project’s schedule. Type 1: Site conditions which are highly unusual in nature and unforeseeable subsurface. Type 2: Site conditions that differ “materially” from those “indicated” in the contract. Use of Inferior Materials, Contract Errors, and Differing Site Conditions. Here are two of the real-life contract dispute cases in NSW. Contracts Specialist regularly deals with similar cases and variations of these. A builder was claiming that he was a licensed maintenance contractor and said he could operate as a home builder on contracts exceeding $500,000.00. When the construction works completed, a building consultant inspected the outputs and concluded that the works were poorly carried out. They eventually found out that the builder could only work to a maximum value of $6,000.00 but has received $300,000.00 as payment for his work. The homeowner failed to locate the builder and to recover the money. In the end, the homeowner suffered from a significant financial loss. SUMMARY: The situation could have been avoided if the homeowner consulted with a building solicitor before signing the construction contract. The contract was both agreed upon by the homeowners and builder. They accepted each demand and changed some statements in the contract. At the end of the project, the homeowners were happy with the outcome of the work. However, there was one thing they did not like – the balustrades. The homeowners insisted that those were different from the ones in the contract. So, they sought a refund of the variation amount. The builder argued that the homeowner should not be entitled to a refund since there was no loss of amenity. Eventually, the case was resolved and the homeowners got the refund they had requested. SUMMARY: The builders failed to comply with the agreement, so the homeowners received the refund they requested. Disputes can be inevitable in some cases, but they can still be prevented or resolved once they have been brought to light. An expert construction lawyer can guide you through the whole legal process. You can opt to negotiate for light situations.The goal is for homeowner and builder to agree on an achievable resolution. This method is not legally binding in any way, but is an effective strategy in settling a dispute. A mediation suggests the participation of a neutral third party to help those involved find a resolution. The arbitration method requires the participation of a neutral third party as well to assist them in resolving the disputes. The cost of this process can be significantly higher than of other methods, or even as high as the court proceedings. Litigation is your last resort. This involves a trial and is legally binding and enforceable, though it can also be appealed. It is the most thorough, complex, slow, and costly way of resolving a construction contract dispute. SUMMARY: Negotiation is the easiest way when resolving a construction contract disputes. Moreover, litigation and court action are the most complex and costly ones. A dispute resolution template should include five common parts. When creating a dispute resolution template, you can start by addressing the board or people who have helped to reach a prompt and fair resolution of any disputes, conflicts, or disagreements. You can include here the parties involved in the construction disputes, the directors, board policy, and others. It is recommended to resolve any issues or concerns at the earliest opportunity. They should be dealt with in a fair and timely manner. Whilst some disagreements can be resolved by a simple negotiation between the parties, others require a process for successful resolution. The procedure to reaching a dispute resolution differ based on the chosen method of resolving construction contract disputes. The parties involved in the dispute should know their respective roles and responsibilities. Resolving a contract dispute needs the full cooperation of all the people involved. Having trouble with construction contracts? Contracts Specialist can assist you with construction contracts, contract reviews, contract termination, and resolving your disputes.